Barebone compact 6 lan 1GHZ. user’s quick reference provides the I/O outlets description and their pin assignment. Processor Board 1GHz VIA low-power Eden V4 CPU with 512MB DDR2 RAM. I/O Outlets Four 10/100 base-TX and two 10/100/1000 base-TX Ethernet ports. 2 USB ports and 1 RS-232 serial port. 1 CRT and 1 PS/2 compatible keyboard/mouse interface. 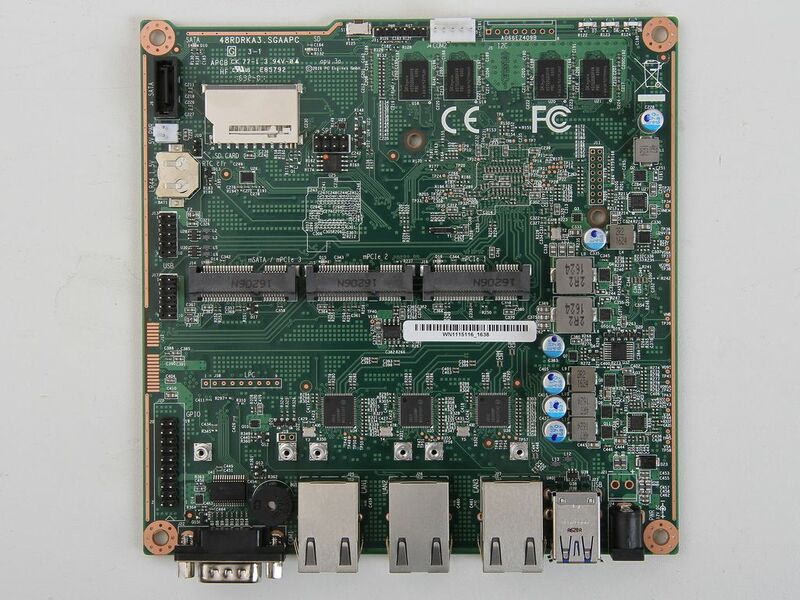 1 mini-PCI socket for mini-PCI I/O modules. 1 DC-In plug connector with power switch. 1 power LED, 1 HDD/CF access LED, 1 user defined status LED, and 12 LAN LEDs. 1 push button for user defined. Storage Bay 1 CompactFlash socket. One 2.5" hard disk space. Power requirement +12 ~ +24V DC with 15% tolerance, 27VA maximum with 2.5” HDD and 19V input voltage.